PLYMOUTH Leander and Mount Kelly dominated the South West Winter Swimming Championships which were held at Millfield School. The star performer in the senior age category was Mount Kelly’s 16-year-old Italian international Federico Burdisso. The world and European junior medallist won three individual titles and two other medals. He triumphed in the 50m freestyle, where he edged out Plymouth Leander’s Great Britain international Tom Fannon and Reece Dunn, the 100m butterfly and 200m butterfly events. Burdisso could not have been closer to a fourth gold in the 50m butterfly. He missed out on that title by just one hundredth of a second. He also claimed bronze in the 50m breaststroke – an event won by his Mount Kelly team-mate Oliver Taverner, who also took silver in the 100m breaststroke. There were two senior titles for Leander’s Great Britain international Laura Stephens (pictured top). She triumphed in the 100m and 200m butterfly events. She won the longer event by a staggering five seconds, with her Plymouth team-mate Victoria Adams finishing third. Stephens also took silver in the 400m. As well as Stephens, Burdisso and Taverner, there were also senior titles for Leander’s Tegan Drew and Madelyn Moore and Mount Kelly’s Athena Clayson. Drew (pictured) won the women’s 50m backstroke and took bronze in the 50m butterfly. Clayson was third behind Drew in the 50m backstroke, but won the 100m race. Clayson, 16, actually finished the competition with five individual medals. She also took silver in the 200m backstroke and silver in the 100m freestyle, where she finished just ahead of Leander’s Juliette Casini in third, and bronze in the 50m freestyle. The women’s 50m freestyle was won by Leander’s Moore. Also in the senior events, there were two medals for Mount Kelly’s Niamh Robinson. She won silver in the women’s 200m IM and bronze in the 100m breaststroke. There was also a silver for Leander’s Freddy Clampett in the men’s 200m IM, with Mount Kelly’s Aleessandro Burdisso taking bronze in the same final. Mount Kelly’s Harry Turner took silver in the men’s 50m backstroke. There was a bronze for Mount Kelly’s former Devonport Royal swimmer Harry Noble in the men’s 100m backstrok and bronzes for Leander’s Adam Chillingworth in the 100m and 200m breaststroke events and Mount Kelly’s Ben Harrison in the 200m backstroke and 400m freestyle and 400m IM. In the 15 and under age category, Plymouth Leander’s Reid Jones was the stand-out performer. He claimed four titles and one bronze medal. His wins came in the 200m IM, 50m freestyle, 50m freestyle and 50m butterfly and he came third in the 100m butterfly. His team-mate Joseph Thompson took silver in the 100m butterfly, as well as in the 100m and 200m freestyle and 50m butterfly as well as bronze in the 50m freestyle. Mount Kelly’s Kaylee Dekker secured the junior 100m butterfly title and the 100m freestyle crown. 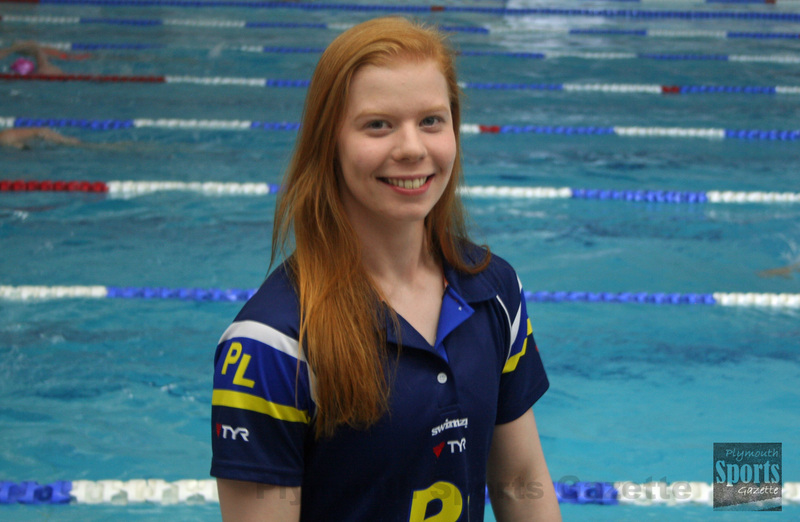 She was also second in the 50m freestyle, behind her team-mate Georgina Dennis, and third in the 200m freestyle. Dennis also claimed victory in the 200IM and 400m and picked up a silver in the 800m. Leander’s Honey Osrin secured the junior 50m backstroke title. She also took bronze behind Dennis and Dekker in the 50m freestyle. There was also two junior titles for Leander’s Mogammad Warley. He won the boys’ 100m and 200m backstroke events. Leander team-mate Tobias Fredericks was third in the 100m backstroke race. There were two titles for Mount Kelly’s Joe Russell in the boys’ 400m IM and 400m freestyle, where his team-mate Linus Launhardt took silver. 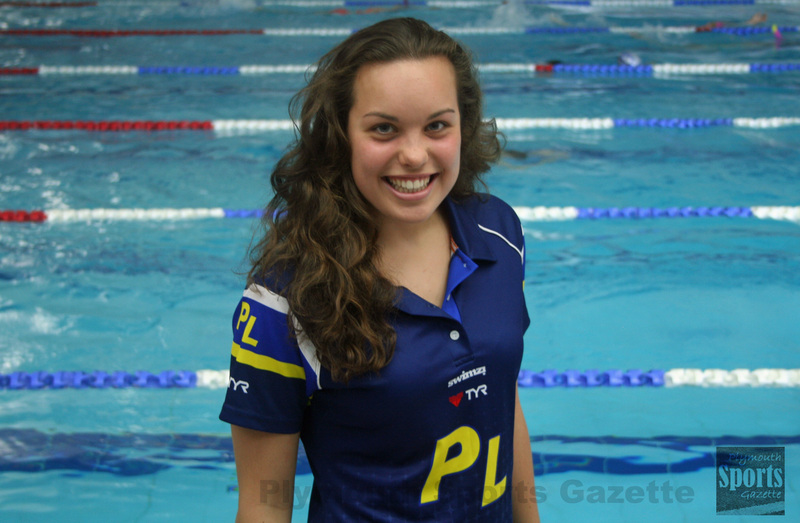 Plymouth swimmer Lana Broekhoven picked up a silver medal in the junior 200m IM and a bronze in the 100m breaststroke. There was also a silver for Leander’s Duru Tanir in the 100m freestyle, Plymouth Lucy Armitage in the 200m freestyle, Dartmoor Darts’ Cameron Williams in the 50m breaststroke, Leander’s James Hart in the 200m butterfly and Plymouth team-mate Oriana Noel in the girls’ 100m butterfly. Leander’s Alexandra Maticium secured a bronze in the girl’ 50m breaststroke.